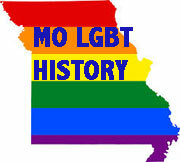 St. Louis LGBT History Project Founder Steven L. Brawley has spent thousands of hours researching the Project's timeline. Far from complete, and a work in progress, the timeline offers details about varied aspects of LGBT life in St. Louis from the 1700s through today. Please offer additional information to ensure this important part of our work is complete. Please note the sidebar feature stories that accompany each era.